If a driver crashes into your car and flees the scene, you may feel like the situation is hopeless. You may fear that you will be stuck paying for your medical treatment and car repairs while being unable to work and earn income due to your injuries – all due to someone else’s carelessness and failure to take responsibility. However, you may have many options available to you. It will be important to get help right away from an experienced car accident lawyer. At Warren & Kallianos, PLLC, our skilled auto accident lawyers have 58 years of collective legal wisdom and experience that we can put to work for you. We focus our practice on helping people with catastrophic injuries and have obtained more than 75 six- and seven-figure verdicts and settlements since we founded our firm. If you were involved in a hit-and-run crash, we will explore all options available to you and your family and pursue maximum compensation on your behalf. For a free consultation, contact our office today. What Should You Do After a Hit-and-Run Crash in North Carolina? Write down information. If possible, try to write down the license plate number, make, model, and color of the car that hit you. Get photos. If things are moving too fast, you should try to get photos of the car and its license plate. Additionally, you should also take photos of your vehicle and the surrounding scene. Get witness information. If there are people nearby who may have seen the accident, don’t be afraid to ask them if they got the license plate of the car that struck you. Even if they did not, their observations may be helpful. So, you should get their names and contact information. Call the police immediately. Don’t hesitate. Call 911 right away, which will create a record of the event, and then file a police report or obtain a copy if a report has already been made of the accident. Report the crash to your own insurance company. Your insurance contract may require you to do so, and you may have short deadlines on reporting the accident. However, do not give a recorded statement or discuss any facts or your injuries without first talking to an attorney. Under North Carolina law, you cannot leave the scene of an accident if vehicle damage or bodily injuries occur. In fact, the law requires that, at a minimum, you call for help and provide your insurance and other contact information to the party you hit. Unfortunately, many drivers who cause accidents violate this law. Drivers may flee the scene of a crash for many different reasons. For example, they may be uninsured. In North Carolina, roughly 6.5 percent of all motorists operate cars without insurance, according to the Insurance Information Institute. Drivers may also leave the scene of a wreck because they are impaired by alcohol or drugs, face a warrant for their arrest, or have a car that they stole or borrowed. $25,000 per accident for property damages. If the apprehended driver has insurance, the driver should have at least this much available coverage. If the driver turns out to have no coverage, then you may need to file a claim with your insurance company under your uninsured motorist (UM) policy. North Carolina now requires that all insurance policies issued in the state include minimum coverage for uninsured motorists. If your injuries exceed the other person’s coverage – a common scenario given the cost of medical care today – you may be able to recover additional compensation through your own underinsured motorist (UIM) policy, assuming you carry additional coverage. UIM would cover the difference between what the other driver’s insurance covers and the amount of your damages (up to your policy limit). Driver flees scene but is never identified – North Carolina uninsured motorist policies cover hit-and-run accidents. So, if the driver who hit you cannot be identified, you could file a claim through your UM coverage. However, in North Carolina, you must show that there was actual contact between your vehicle and another vehicle. If you cannot show contact – for instance, the driver caused you to swerve and hit a tree, but there was no contact between you and the other vehicle – you may be unable to collect compensation through your UM policy. Keep in mind: If you cannot identify the hit-and-run driver, then you will be unable to file a property damage claim under your uninsured motorist policy. However, you may still be able to file a claim if you purchased optional collision coverage. 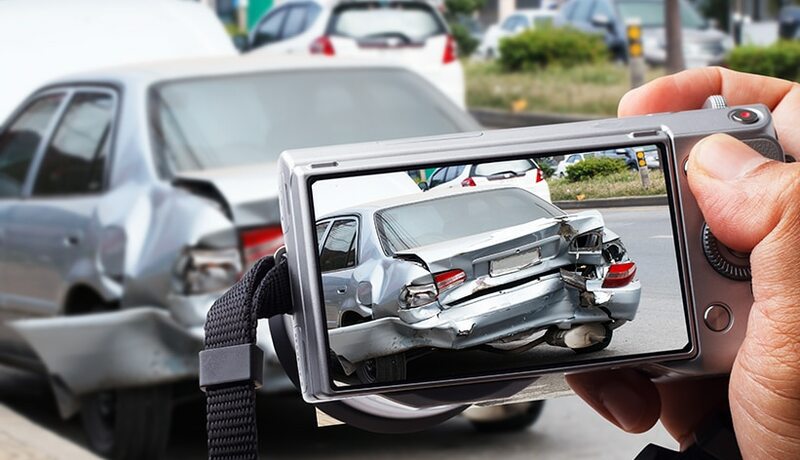 A skilled Charlotte car accident lawyer from Warren & Kallianos, PLLC, can review the facts of your case, carefully examine your insurance policy and determine all insurance coverage available to you. At Warren & Kallianos, PLLC, we can put out 58 years of combined legal experience and a record of high-value verdicts and settlements on your side. Our highly skilled personal injury lawyers will work closely with you, protect your rights and pursue maximum compensation for you after your hit-and-run crash. In doing so, our firm will explore all your legal options, identify all sources of compensation available to you and help you to go through all necessary steps to file a claim. If the insurance company refuses to pay you full and fair compensation, we will be prepared to fight for you in court. Warren & Kallianos is proud to represent injury victims throughout North Carolina. You are welcome to a free and confidential consultation when you call 704-275-5593 or contact our office today. We will not charge you any legal fees unless we recover compensation for you.